There are times when life throws a curve ball at you and your life goes topsy turvy as you try to regain control. It is not easy to get back on the horse and give life your best when your head is reeling from the effect. We often tend to seek inspiration from the greats who had gone through struggle and achieved success. Here is a list of 10 best athletes who despite their disabilities, had turned their life around and made it big against the odds. Chelsea McClammer’s disability was not from birth. She met with a terrible accident when she was 6 years old which left her paralyzed from waist down. Instead of digging herself a deep-dark hole, she focused her angst towards sports and became the youngest member of US Paralympic team in the year 2008. She finished in 8th place in the 800 meter women’s in Beijing and finished first at the Bloomsday Road Race in Spokane, setting record for female course in that same year. 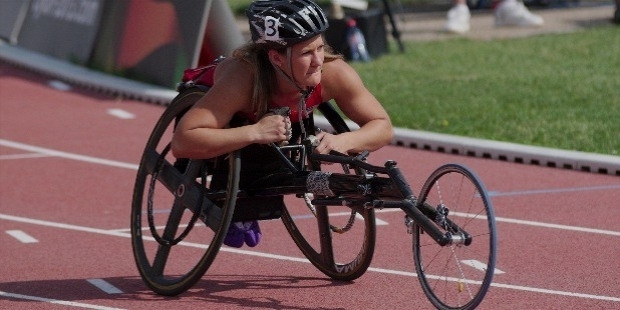 At the Parapan American Games in Guadalajara in 2011, she won six medals. That very year she became a member of the IPC Athletics World Championships. She was nominated for the Best Female athlete with a Disability ESPY in 2012. A Hawaii native and American professional surfer, Bethany Hamilton was on the rise with a win at the Rell Sun Menehune in 1998 and she also won the 2002 Open Women’s Division of the NSSA. At the age of 13, in 2003, she survived a shark attack in which she had lost 60% of her blood; the shark had bitten off her left hand. But she did not give up hope. She returned to professional surfing by using a custom-made board with a built-in handle for her right arm and bagged numerous titles such as O’Neill Island Girl Junior Pro tournament in 2005 and NSSA National Competition in 2005. She was placed second at the ASP World Junior Championship in Australia in 2009. In 2014, Bethany Hamilton won the Surf ’n’ Sea Pipeline Women’s Pro in USA. Her autobiography “Soul Surfer: A True Story of Faith, Family, and Fighting to Get Back on the Board” was published in 2004 and a movie of the same name was released in 2011. Los Angeles native Oz Sanchez served in the Marine Corps for six years before a motorcycle accident in 2011 left him paralyzed due to a severe injury to his spinal cord. After seven years, he became a Paralympic athlete representing US at the Games in Beijing in 2008. He won a gold medal in the para-cycling time trial and a bronze medal in the road race in Beijing. In 2009, he won the gold medal in the time trial event at the UCI Para-Cycling Road World Championships in Italy. Melissa Stockwell was a First Lieutenant in the U.S. army in 2004 and was stationed at Iraq. While leading a convoy to Baghdad, she lost her left leg in a bomb explosion. She was the first Iraq veteran chosen to compete in the Paralympics. She competed in the 100 meter butterfly (came in sixth), 100 meter freestyle (came in fifth) and 400 meter freestyle (came in fourth) at the 2008 Summer Paralympics. In her triathlons in 2010 Budapest, 2011 Beijing and 2012 Auckland ITU Paratriathlon World Championships, she won three consecutive gold medals. Melissa had been awarded the Bronze Star and the Purple Heart for her service in Iraq. 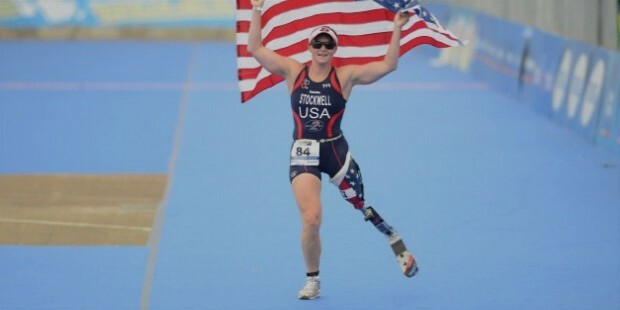 She was also named USAT Paratriathlete of the Year in 2010. She is a member of the board of directors of the Wounded Warrior Project and also works as a prosthetist. A Winnipeg native, Baxter Humby had his right hand amputated below the elbow at birth as it had gotten entagled with the umbilical cord. At the age of 17, Humby began competing in martial arts. He competed for the Canadian Paralympic National Track Team in 1992 and 1994. In 1996, he won the Canadian Super Welterweight Kickboxing Championship and till date, he remains the only kick boxer who has ever won a world title with one hand. He is still the IMTC World Super Welterweight Champion. He also became the WBC Super Welterweight National Champion in 2010. Fun fact: Baxter Humby was Tobey McGwire's stunt double in the movie Spider-Man 3. 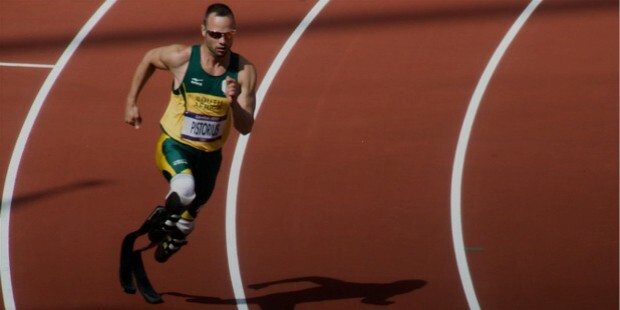 When he was 11 months old, Oscar Pistorius had both his legs amputated below the knees. Biomedical engineer Van Phillips developed a J-shaped carbon- fibre prosthetics named the “ Flex Foot Cheetah” which Oscar uses to compete in championships for below-knee amputees and also for able-bodied athletes. This South African sprinter is referred widely as the fastest man on no legs and has the nickname “Blade Runner”. In 2004 Athens Paralympics, he won a bronze and a gold medal; in 2008 Beijing Paralympics, he won 3 gold medals; he also won 2 gold medals and a silver medal in 2012 London Paralympics. 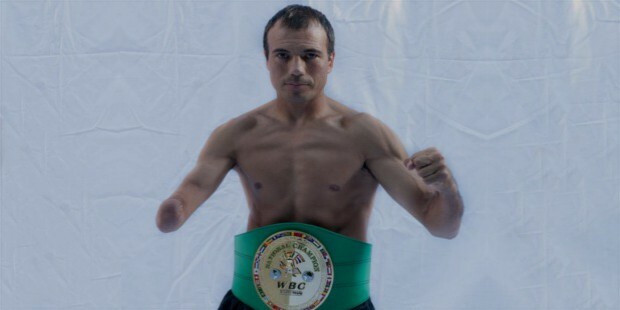 After conquering the Paralympics championships, Oscar started entering in able-bodied international competitions and won the 2011 World Championships in Athletics. 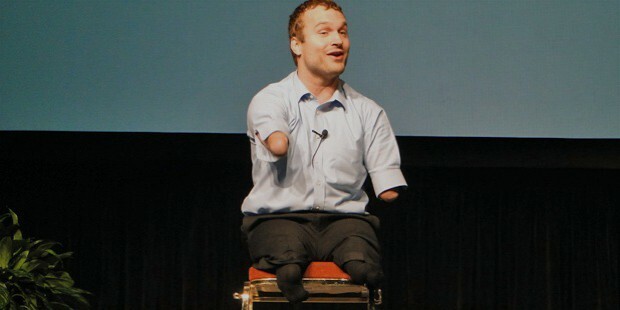 Kyle Maynard was born without any arms or legs. But this congenital amputee has competed against able-bodied athletes and has been designated GNC's World's Strongest Teen and named one of the U.S. Jaycees Top 10 Outstanding Young Americans. Maynard has twice been named the Best Male Athlete with a Disability at the ESPYs. He is a member of the National Wrestling Hall of Fame and also works as a motivational speaker for the Washington Speaker's Bureau. His biggest feat was to climb Mount Kilimanjaro without any assistance which made him the first-ever quadruple amputee to do so. In 1985, at the age of 22, Maclaren lost his left leg below the knee in a motorcycle accident. 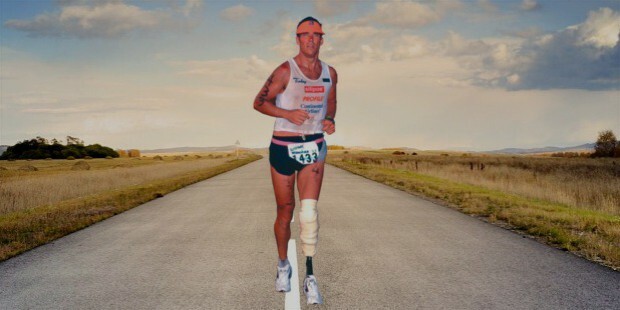 Today, Jim MacLaren is renowned for his record-breaking performances in Ironman marathon and triathlon. He took 3 hours 16 minutes to run the marathon and took just 10 hours 42 minutes to complete the Ironman Hawaii. For his contribution to the sports and for his heroic courage, MacLaren was awarded the Arthur Ashe Courage Award at the ESPY Awards presentation in 2005. He was also a motivational speaker and author. Jim MacLaren died at the age of just 47 on August 31, 2010. After recovering from a fatal car accident on November 12, 1976, Terry Fox was diagnosed osteosarcoma (a type of cancer that starts from the bones) because of which, one of his legs had to be amputated. He became the youngest person ever to be named the Order of Canada. In Edmonton, he won three national championship titles as a member of the Canadian wheelchair basketball team. The North American Wheelchair Basketball Association named him an all-star in 1980. 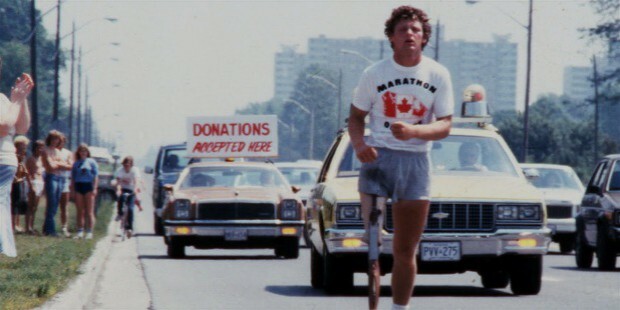 Apart from being an athlete, Terry Fox was also a cancer research activist and humanitarian. To spread awareness and raise money for cancer research, he participated in a cross-Canada in 1980. He ran for 143 days across 5,373 kilometres which took a heavy toll on his health and he died on June 28, 1981. At age 12, Jason Lester was hit by a car while he was riding his bicycle. The accident left him with 21 broken bones and a collapsed lung- almost dead. He finally got out of hospital with a paralyzed arm. Not giving up, he started playing baseball and American football. At age 18, he was ranked number 2 in the state of Arizona for biathlons. 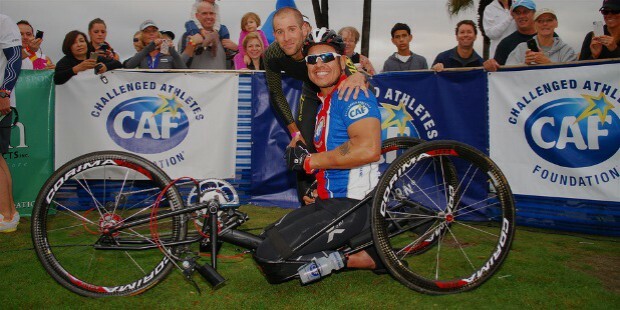 In 2008, Jason was the first disabled athlete to complete the Ultraman World Championships and the Ironman World Championships. In 2009, he won the “Best Male Athlete with a Disability” ESPY Award. In March, 2012 Lester ran and biked over 4,800 miles across the United States to promote the benefits of sports. His autobiography “Running on faith” was published with his message: “If you don’t stop, you can’t be stopped”. Get inspired by these “Differently abled” athletes who had shown great courage and had overcome their physical disabilities to become the greatest in the tough world of sports. Let their stories inspire you to tackle all hardships in life and achieve greatness.